Our new free training on human trafficking will be available to LEO professionals on May 1st, 2018. The domestic violence toolkit can still be accessed by scrolling down to the Access Training section of this page and clicking on the Domestic Violence tab. 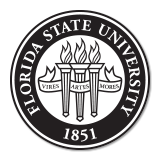 The National Prevention Toolkit on Officer Involved Domestic Violence and Human Trafficking is a project of the Law Enforcement Families Partnership (LEFP) at the Institute for Family Violence Studies within Florida State University’s College of Social Work. The Toolkit is part of a broad-based effort to educate officers and support healthy families and communities. Please note that the domestic violence training is not a batterer intervention program and is not for use when violence has already occurred. To educate officers about the dynamics and impact of officer-involved domestic violence. To support a law enforcement culture that prioritizes prevention efforts and officer/family wellness. To encourage officers to ask for help when they need it before violence occurs. To educate officers about the dynamics and impact of human trafficking. To help officers recognize the differences between trafficking and other crimes, such as domestic violence and prostitution. To educate officers on how to use a trauma-informed approach to interacting with victims. To provide officers with the knowledge to report human trafficking. The training is designed as a prevention tool for criminal justice officers. In this password-protected site, officers and administrators/supervisors have access to online training modules and resources specifically designed for the criminal justice community. These resources provide public access to general domestic violence and human trafficking information. All criminal justice agencies and officers are invited to participate in this free project. Office of Justice Programs, Sponsored by the Institute for Family Violence Studies and the State of Florida. If you have questions or comments, please click the button below to contact the Institute for Family Violence Studies. For the purposes of simplifying language in this toolkit, the term domestic violence will be used to define violence by one intimate partner against another. The federal Lautenberg Amendment which will be discussed in depth later, also refers to the crime as domestic violence. Links to specific state laws addressing the crime as it is identified in each state are provided in the Resource Site.